Technology has changed the music production world forever and we must come to terms with this as music producers. The large scale democratization of music production tools has given everyone an opportunity to participate in the world of music making. Aspiring music producers can now begin writing, recording and producing their own music at home for a fraction of the costs of recording an album 20 years ago. Software instruments, effects, affordable computers and audio interfaces have forever changed the climate of the music industry as more producers are finding ways to create at an unprecedented rate. On top of this phenomenon, we are faced with the widespread availability of information surrounding the tools and techniques necessary to create music. Any would be producer can simply search on YouTube today and instantly find a wealth of information and tutorials on the subject of music production. With these technological changes comes the requirement for the music composer and music producer to begin to shift their thinking about the traditional function of their respective roles in order to stay relevant. Vocal artists and songwriters have access to the same tools and information that music producers have access to which means that the relationship between the vocalist and producer will never be the same. Gone are the days of a rapper, singer or songwriter needing to wait for studio time in order to produce music or even record an idea for that matter; it can all happen in the comfort of their own home studio. Vocal artists are now at a point where they need to weigh the costs and benefits of purchasing beats from music producers today versus buying the tools to create music themselves. This ultimately means that the music composers and music producers of today need to reassess the positioning of their productions and skills in order to stay relevant. In this video I discuss the challenges that music producers face today as well as the importance of including sound content creation as a part of your repertoire in order to continue providing value in this music space. Sound content development is a huge opportunity for music producers as the products can range from individual drum one shots and music loops, to full fledged software instruments and effects. These sound content products will always be a necessary ingredient for anyone looking to create music, but especially for those who do not have the time and skill to develop this content on their own. Music producers and composers provide a level expertise in sound and music arrangement that will always be relevant and continue to grow in importance as more consumers explore music making. 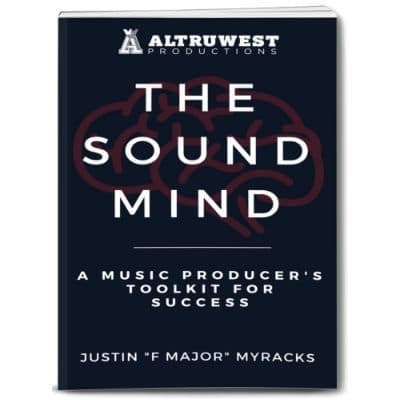 This video includes content development strategies and resources that every music producer should be incorporating in order to survive and continue to expand their brand and their value in this music industry. Altruwisdom: How do I track out beats with Maschine?